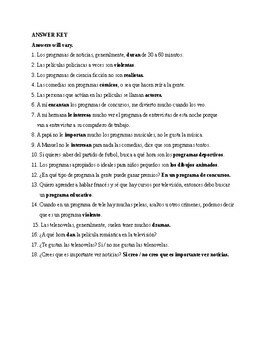 This is a good activity to assess or to practice Chapter 6, Tema 6 a ver si recuerdas. This exercise has a word bank. 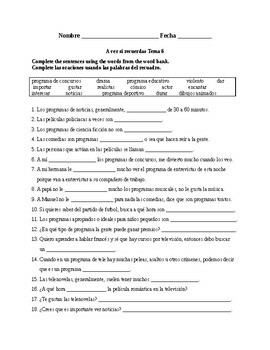 18 questions, fill in the blank format, a few questions require short written answers.